IS the key to protecting yourself from interventions that harm instead of help you! This site was created to protect persons afflicted with "Adhesion Related Disorder" with critically important information about medical mistakes, professional incompetence and misconduct that has been carried out by doctors, caregivers and many medical facilities throughout the world that allow these types of practices to occur! This site will also help ARD patients who have suffered physical or psychological harm from medical personnel to know that they are not alone, and in fact every time they walk out of an appointment for ARD symptoms no matter the type of intervention, if they feel demeaned, foolish, and crazy, it is NOT the patient who is wrong, it is the provider! C-Sections an issue - AGAIN! Yadda, Yadda, Yadda! If places like" Endogyn in Germany," among MOST medical facilities and surgeons who won't admit or tell patients about their medical errors; we, the patients, in order to form a higher standard of care, will tell each other and do what the Federal and State governments have failed to do for the life, the welfare and the pursuit of healthiness of patients locally and across the nation. This site is a gift to all who visit here; the gift of life. WE ARE HERE and WE ARE WATCHING! "Dr. Daniel Marian Kruschinski "- a Polish surgeon was performing experimental operations in Germany on patients from the United States......he claimed to be able to cure adhesions, yet he created more adhesions then he would ever heal! Remember what you read about the practices of THIS surgeon is repeated by surgeons all over the world, so read up and stay safe! If it sounds to good to be true, it probably isn't true! Dr. Daniel Kruschinski of Germany! Though IHRT has been effective in stopping him from practicing medicine on innocent, vulnerable people, he non the less continues using the Internet to feed his perverted need for attention! 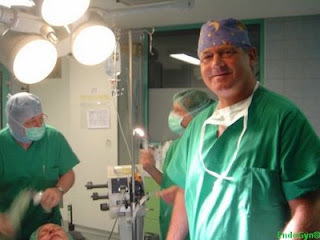 "Dr. Kruschinski.org"
The "OLD" debate on C-sections is raging once again! Sure, all those who are shouting out against C-Sections once again DO NOT mention the most insidious complication of that procedure which is "Adhesion Related Disorder!!" So, they debate it again, cry out "shame" on the OB/GYN's who perform them, yet to-date nothing changes! Yes, women die from an occasional fatal complication of the C-section, but far more women suffer the pain and disabilities from the adhesions caused by the C-section, and they are not able to secure the necessary interventions that might, MIGHT, help her live as best as she can with "ARD" as once you are cut and the adhesions develop, there is no turning it around! May 17, 2009 ... The cesarean rate in the U.S. is higher than in most other ... many believe, because of it -- childbirth in the U.S. doesn't measure up. Contact your Congressperson to voice your opinion to stop these C-sections from over use! If YOUR state does not have an "Adhesion Related Disorder" proclamation that can offer validation of the affliction when seeking medical intervention for it, Social Security Disability because of it and to assist in educating both medical and non medical persons as to the reality of it!